The Port Jervis mountain bike race was a fun exploratory event to complete the season. I took to the start having about 5 total rides off road on my mountain bike. Why not race, right? 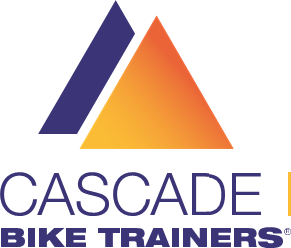 The course started with a fast roll out from town that led into a .75 mile climb into the trail system. The trails were new and the lack of having been ridden in and the fall foliage on the ground presented a very real challenge. Overall I took it safe and steady and learned a lot along the way. This effort was enough for a 2nd place finish in the 12 mile event. Ironman Louisville was the longest distance race of the season and taken on with a sense of adventure rivaling the competitive aspect of the event. This was the derivation of the time commitments accompanying taking a new position in my professional life as well as serving as a co-athlete and supporter of my husband in his first full ironman. The race started with a very unique rolling swim start that involved lining up approximately two hours prior to the start and walking two-by-two to a pair of docks that athletes jumped off of and into the Ohio river. The first .75 miles of the swim were upstream though in a section of backwater sheltered from the main body of the Ohio by an island. After the upstream section athletes rounded the island and took in a fast down-stream swim. The open aspect of the wide river allowed athletes to swim in far less congested waters than is typical of triathlon. At swim exit I had finished the leg in a 1:09 a personal best at this distance. The bike course was a sizeable challenge with the 112 miles consisting of over 5500 ft of elevation gain. The course was very well supported in both aid stations and the number of fans. With a less than ideal lead into the event I took the bike course on with a long view in mind and rode conservatively. This strategy was successful and I was off the bike with a time of 6:19. 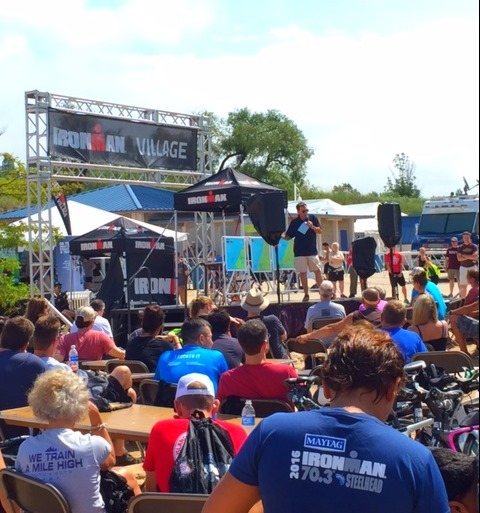 Ironman Steel Head took place in a nice lake Michigan resort town. At the time of registration athletes were warned that the water temperature was within a fraction of a degree of being wet-suit legal. As of race morning the water had risen the requisite amount and this would once again be a non-wet-suit swim. The waves were large but rolling and this made them look far more formidable from the shore than they presented when actually swimming. Swim times were slower than accustom for most athletes and I came out of the water in 38:19. The bike course was billed as flat and fast and did not disappoint. The first couple of miles trended slightly uphill but were of a grade allowable to steady speeds. This was not the most scenic bike course taking in mostly farm land but it was safe and semi-sheltered from the wind. I completed the bike in a time of 2:41 and took to the run course in once again sweltering heat in the upper 90’s. 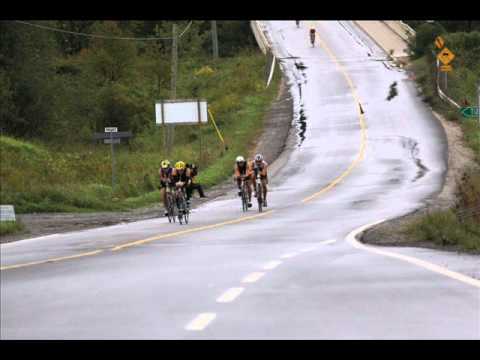 The setting for Ironman Muskoka Canada was a beautiful hilly region with many lake views. The beauty was quickly replaced by the reality of the challenges that the course would hold with regards to the elevation. During the bike course, recon respect for the hilly nature of the ride was quickly replaced by concern for the road conditions with many potholes on fast downhill sections of the course. The odometer also revealed that this was actually a 59-mile bike course. The race started with a calm lake swim which allowed many very quick times. After completing the swim in 33:11 it was time to set out into the hills and potholes of the bike course. The first miles were accentuated by very sharp and steep climbs. The ensuing descents had to be handled with caution as I came upon many athletes that had perhaps been too brave and ended up crashing as a result of the conditions. The few sections of smooth road were ridden as fast as could be but it was not enough to compensate for the allowances required for the road conditions and extra distance and I completed the bike portion in 3:55. The run course was mix of rolling terrain and took athletes through a long stretch of open road before a short loop in town. Raleigh North Carolina was the home of my first race of 2016. Following on from an unseasonably warm winter and the associated ability to log big training miles throughout, I was excited to get the race season under way. The Raleigh course consisted of a non-traditional format that saw athletes stop at two separate transitions with a point to point progressive course finishing in downtown Raleigh. Coming from New York’s 50-degree spring weather to Raleigh’s race day conditions of 98-degrees was a challenge in itself. 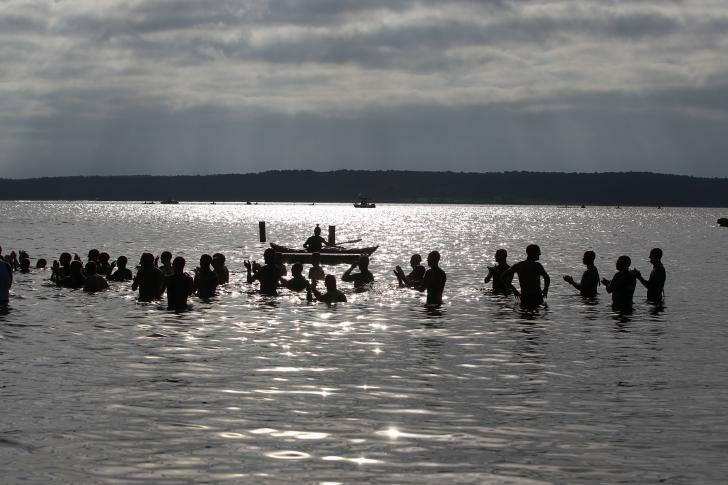 On race morning, the typically placid conditions of the lake swim were advanced to a very choppy and difficult swim. The challenge this held was furthered by the water temperature which was one degree too warm to allow wet-suits. All pre-race conceptions of performance possibility were re-defined by a hard-driven elbow to the nose very near the start of the swim. This blow to the head coupled with the water conditions made for a slower than anticipated swim time of 42:40. The bike to follow was a very rolling course. The temperature was on the rise the entire duration and finished with a steady average just over 20mph and 2:26 cumulative time.